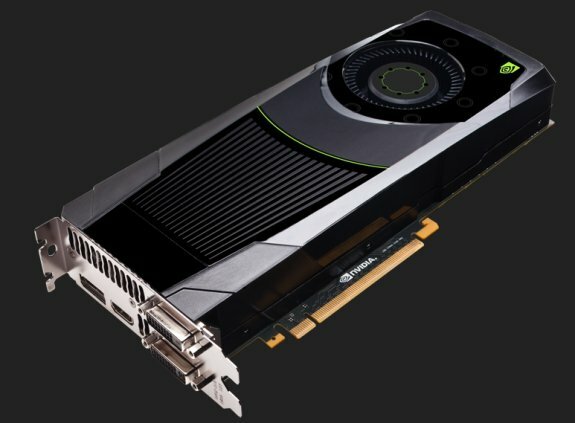 NVIDIA rolls out its GeForce GTX 680, the first Kepler-based graphics card. This new high-end model is faster than AMD's Radeon HD 7970 and with a MSRP of $499 it's also cheaper! For desktop gaming, the NVIDIA(R) GeForce(R) GTX 680 GPU provides a faster, smoother and richer experience. For notebooks, the new lineup of GeForce 600M GPUs puts the "ultra" in Ultrabooks, enabling smaller, more powerful designs than were previously possible. Both are available immediately. "The Kepler architecture stands as NVIDIA's greatest technical achievement to date," said Brian Kelleher, senior vice president of GPU engineering at NVIDIA. "It brings enormous performance and exceptional efficiency. Gamers will love the GTX 680's performance, as well as the fact that it doesn't require loud fans or exotic power supplies. Ultrabook users will love the GT 600M family for its performance and power efficiency." GeForce GTX 680: A Marriage of Speed and Extreme Efficiency The GeForce GTX 680 GPU brings impressive performance and extreme efficiency to the desktop gaming market, delivering a quiet, smooth, extremely fast experience. Availability The NVIDIA GeForce GTX 680 GPU is available now from the world's leading add-in card suppliers, including ASUS, Colorful, EVGA, Gainward, Galaxy, Gigabyte, Innovision 3D, MSI, Palit, Point of View, PNY, and Zotac. Expected pricing is $499.